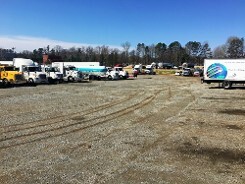 Rely on our truck repair shop in Charlotte, North Carolina, for top quality truck and trailer repair services. With over 125 years combined practical experience, our technicians offer the knowledge and the ability to make any repair necessary. 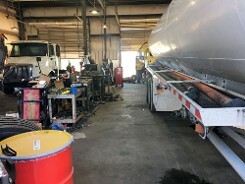 Whether you are just passing through or would like to join us in a comprehensive maintenance program, Wayside Truck & Trailer Repair, Inc. is the company to trust to do the job right. Our experienced technicians separate us from our competition . We have the ability to maintain/repair light to heavy duty trucks-from simple tire repair to engine overhauls. Our technicians are specialized in electronics/electrical repairs, drive train repairs, hydraulic repair, welding and fabrication. We have specialty service in all aspects of tank repair including a "R" stamp certification from the National Board of Boiler & Pressure Vessel Inspectors. We are conveniently located off highway 16 and I-85 approximately 3 miles from exit 36. Our facility is located on over 4 acres which provides our customers with ample space to maneuver and park. We are equipped with the latest in diagnostic equipment, tools, and lifts. Contact us to find out more. 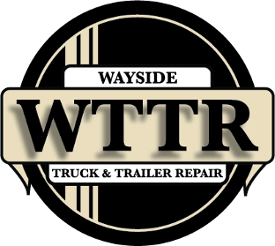 Wayside Truck & Trailer Repair Inc.